In Alabama, there are still plenty of good old fashioned, small-town hardware stores that specialize in what they know best: hardware. For all those hard-to-find parts along with friendly, down home service, chain stores and supercenters simply won’t do. Head to one of these 10 best hardware stores in Alabama and experience specialty retail the way it was intended. Though from the outside this place looks more like a small garden center than a hardware store, rest assured you can find exactly what you need inside. Aside from hardware, they offer equipment rentals, lawn mower repair, concrete, topsoil, key cutting, notary services, saw chains, and shipping services. This is the hardware shop straight from the past that brings hospitality to the modern era. Reminiscent of the city hardware stores of old with its painted sign on the front of the building, this charming store is the place for obscure, hard to find parts. It’s also your one-stop shop for plants, tools, and even toys for the little home improvement helpers. Their fans love that they don’t have to buy a whole box of screws just to get the one they need. A true gem among modern hardware stores, this place is exactly what a hardware store should be. They repair and service lawn equipment, such as sharpening lawn mower blades, they cut keys, and they carry all those little hard to find pieces that stand in the way of completing your projects. It’s old fashioned services at its finest, and you won’t want to go anywhere else. Serving its customers since 1948, Cahaba Heights Hardware knows how to make a good tradition last. You’ll find the best in lawn care, hardware, tools, cleaning supplies, and all the knowledge and expertise you need to make your purchases work for you. You can also find an assortment of special building materials and supplies, including concrete, stone, and other construction finds. This family-owned hardware store doesn’t have the history of some of the shops on the list, but they make up for it in quality service and products. Centrally located in downtown, you can find all the hardware, tools, paint, and garden supplies you need for whatever job you’re doing. They offer some of the top brands in the business, along with the ability to create an online shopping list to make sure you don’t forget anything when you’re shopping in-store. They sell everything from paint to power tools, but they also carry one of the oldest hardware store icons of decades’ past—glass-bottled sodas. Their cooler is stocked with more than 50 flavors of old-fashioned soft drinks, just like you might remember from your childhood. It’s the perfect spot for a refreshing break before you pick up your supplies and go back to work. This family-owned business is just what a friendly, neighborhood hardware store should be. Aside from just about any type of hardware you can imagine, they also feature, cookware, firearms, ammunition, and outdoor cooking gear. And if you ever need a bow restrung or a gun inspected or cleaned, this place doubles as a professional archery service center and gunsmith. From home to garden, Dan’s has it all. Paint, electrical, plumbing, building materials, and tools are just a few of the things that await its customers. You’ll find plenty of your favorite brands, along with dependable, hometown service and trade knowledge to keep your project on point. Don’t let the name fool you—the experience here is far from diminished! 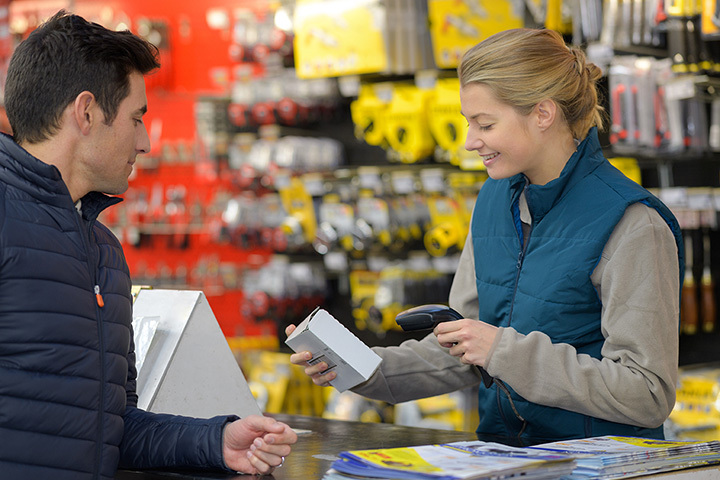 This customer-centric shop has everything you need for your home or business projects, including paint, lighting, plumbing parts, and lawn and garden equipment. Locals also rely on them for pet supplies and shiny new grills. If you don’t want to spring for new equipment, you can rent it here. They’ll even deliver your order to wherever you are in the area. These folks offer so much more than hardware, you might even rely on them for all your Christmas and birthday shopping! Shop in-store or online to explore their collection of housewares, sporting goods, knives, or lawn and garden equipment. Plus, you can always rely on them for hardware and components to give every project the perfect finishing touch.